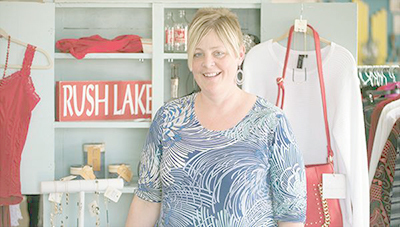 Periwinkle Marketplace is an Ottertail city shopping favorite. Find women’s clothing, jewelry, kids, home decor, and all things lake! We carry boutique style women’s clothing, jewelry and accessories, not to mention casual lake-time clothing and home decor. Check out our vendor’s section! You’ll find clothing, furniture and all sorts of rustic vintage & re-purposed finds. There’s always something happening (year round) at Periwinkle in Ottertail city. We have store events and Make-N-Take classes, not to mention a great experience when you visit the Shops of Ottertail. Need painting done by a pro in the lakes area? Contact Stephanie at Periwinkle for a FREE estimate on your project. 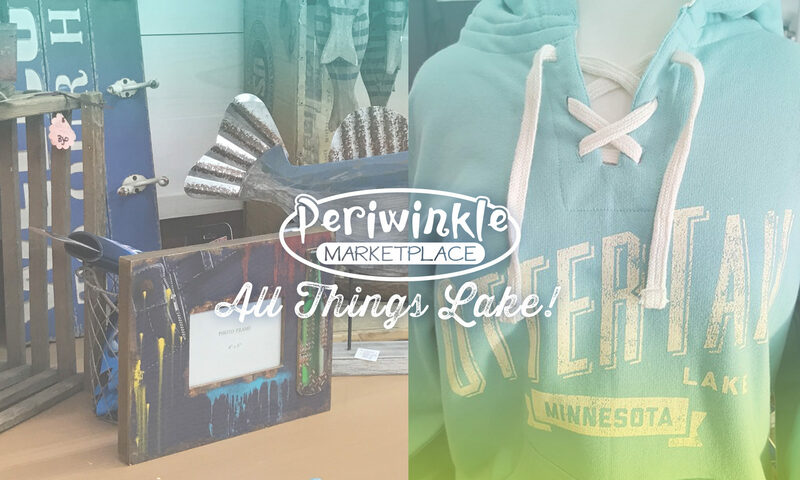 Periwinkle Marketplace is an Ottertail city shopping favorite. Find women’s clothing, jewelry, kids, home decor, and all things lake! Stephanie Ellingson and her crew are known for making a walk into the store a great experience!